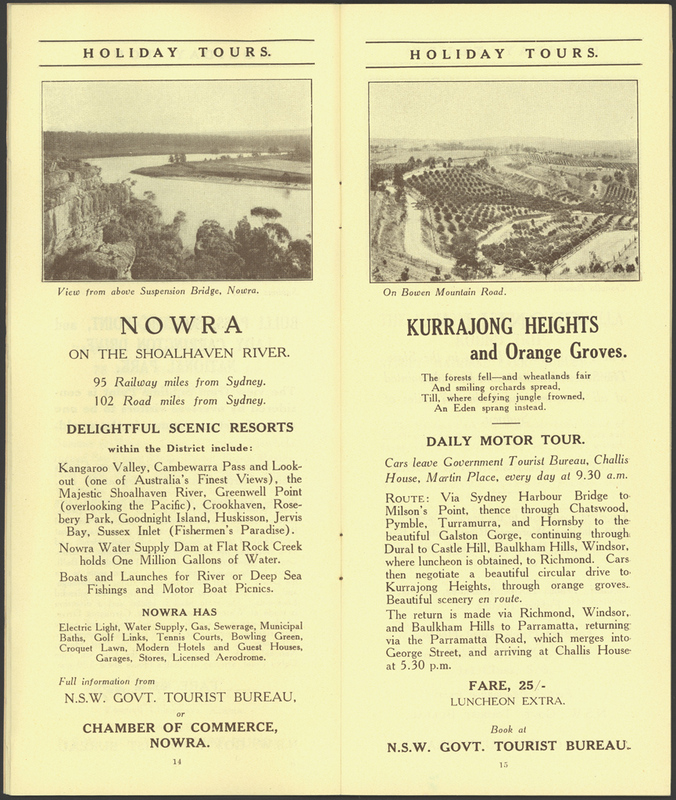 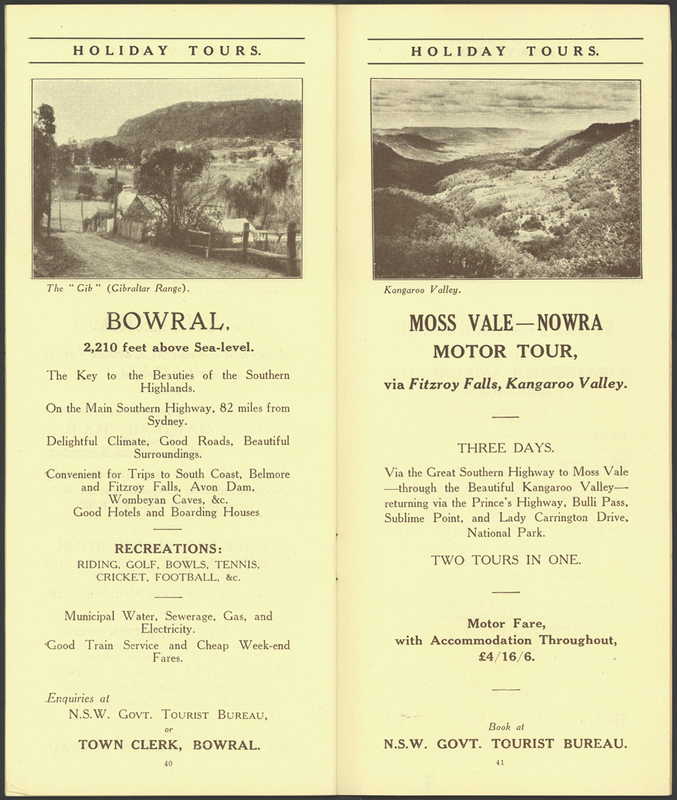 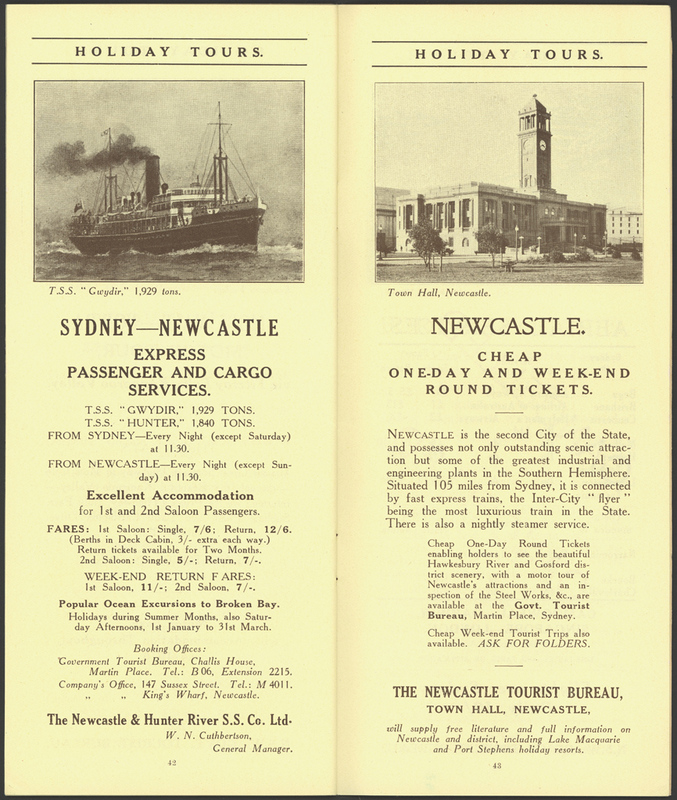 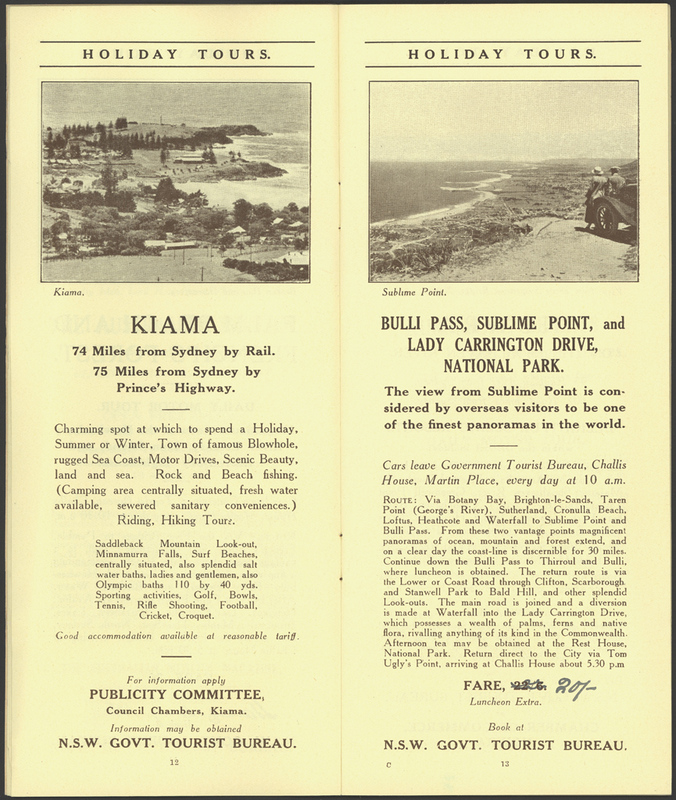 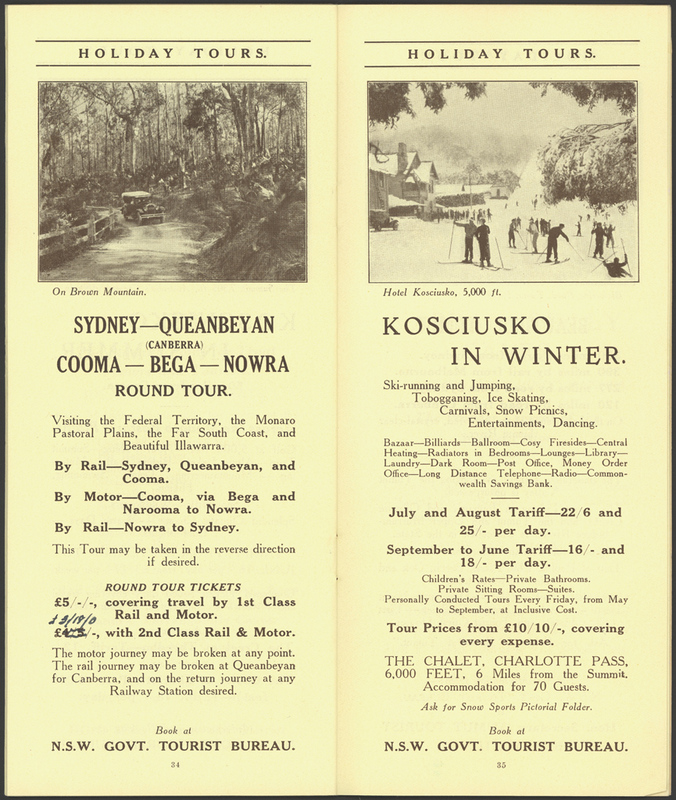 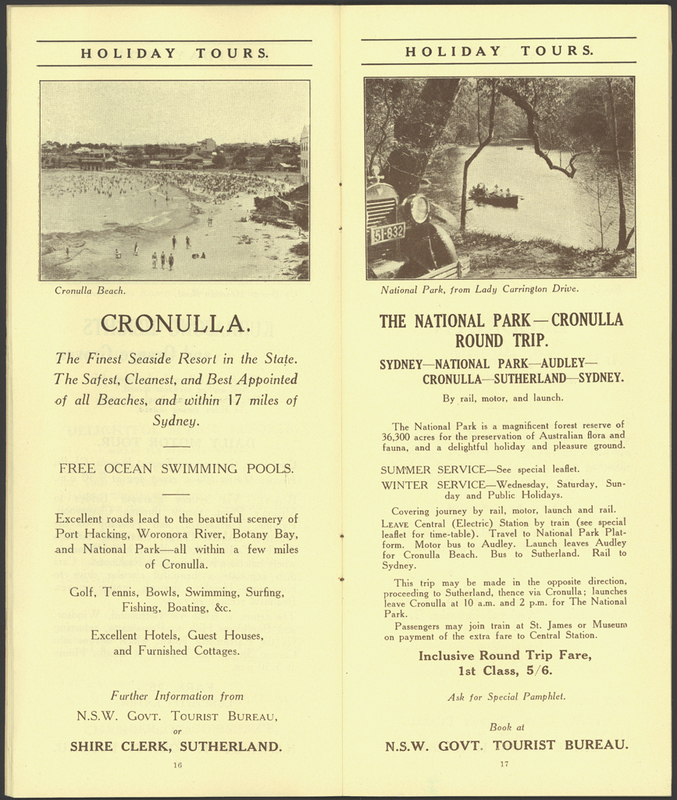 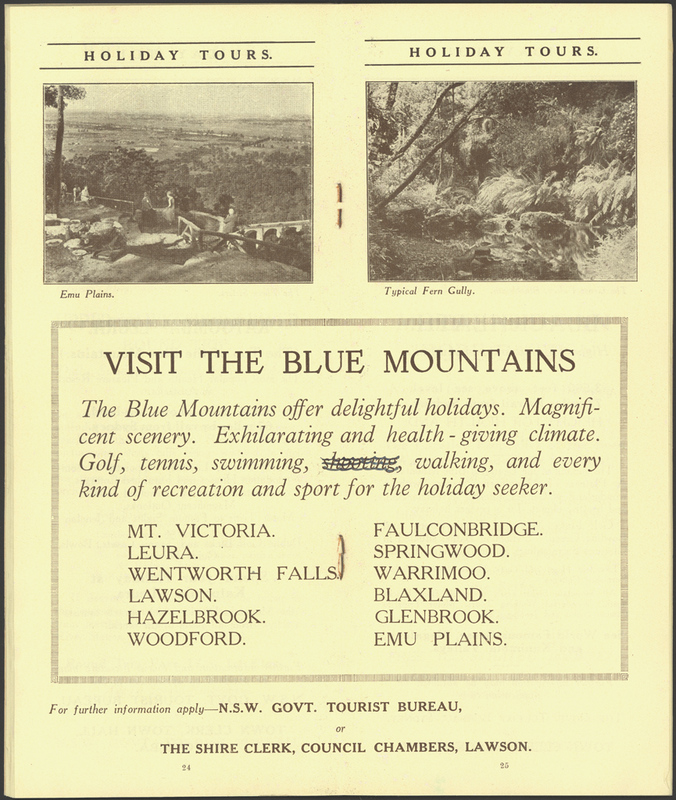 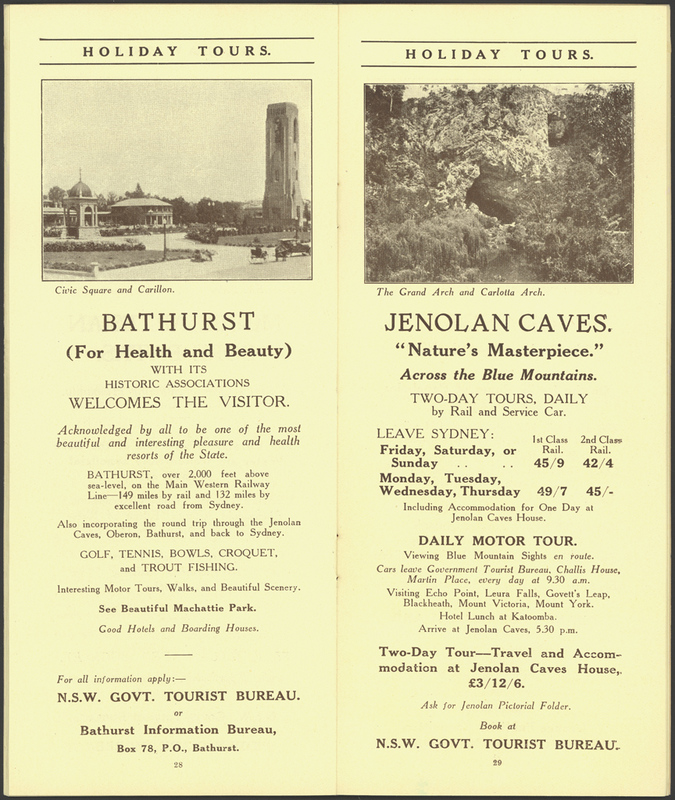 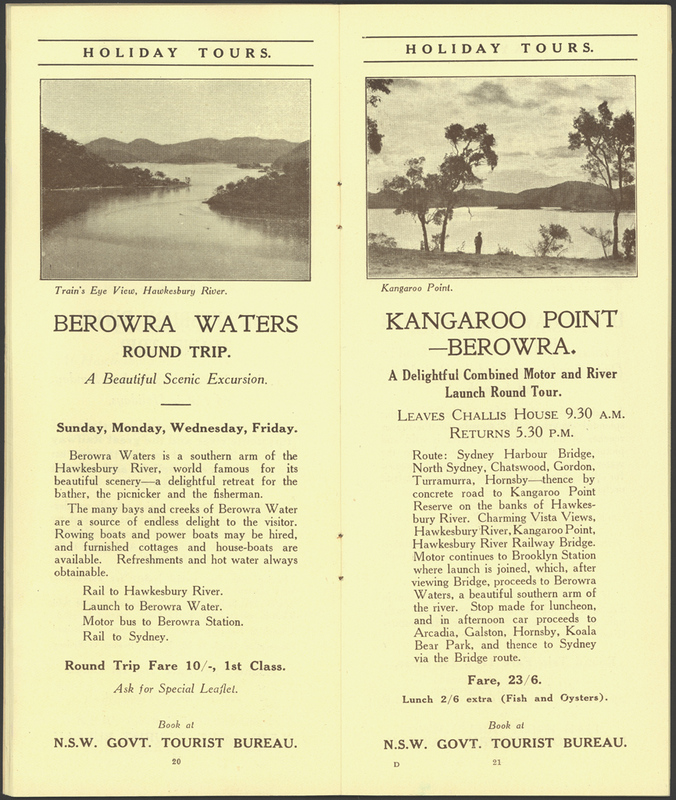 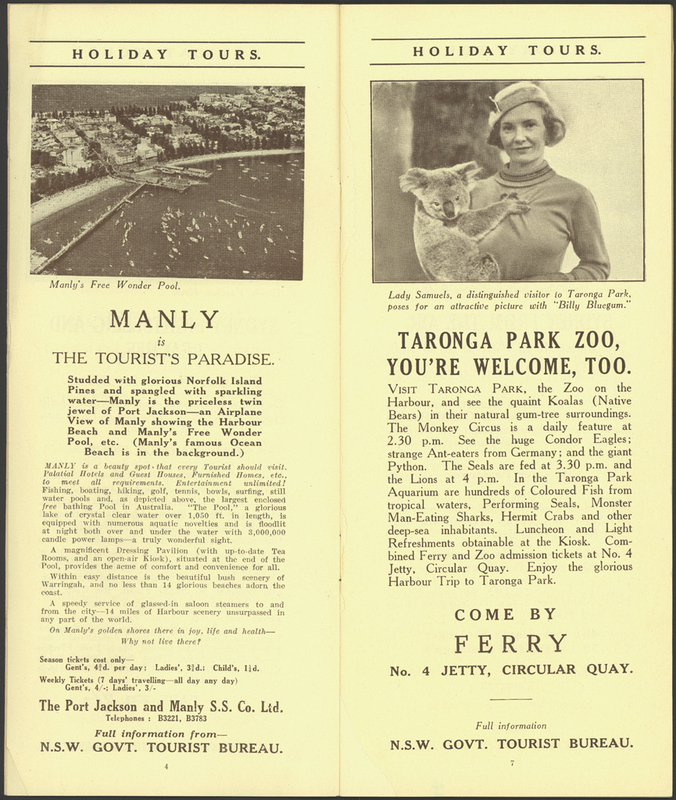 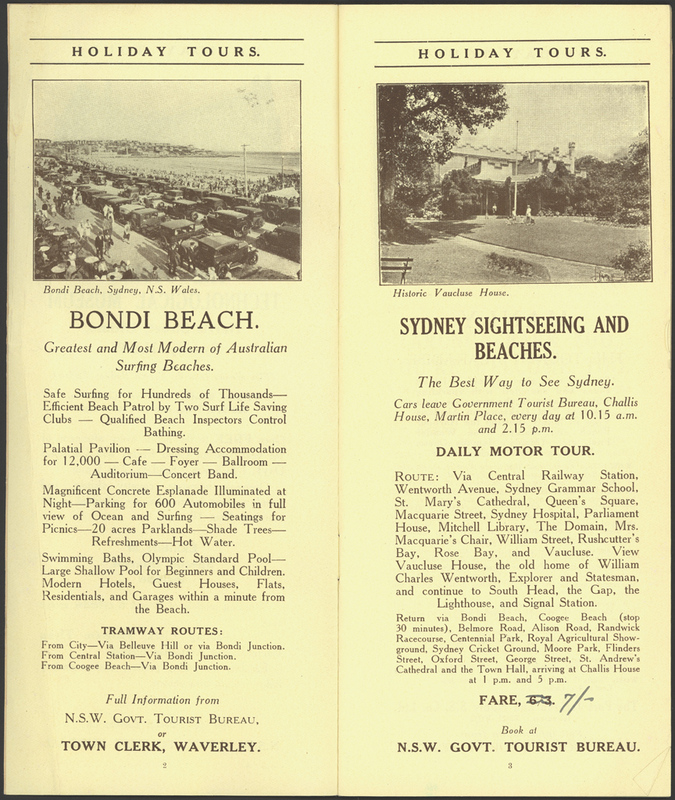 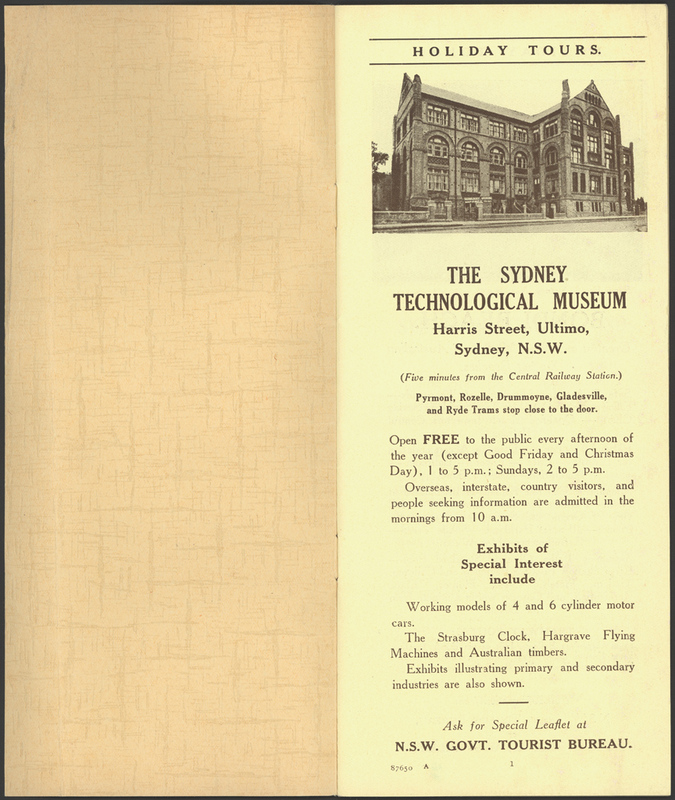 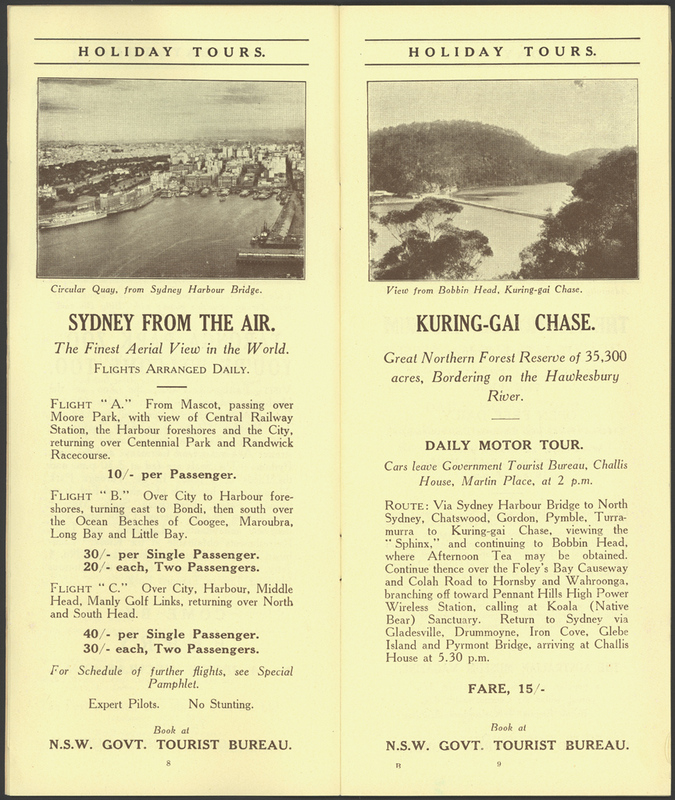 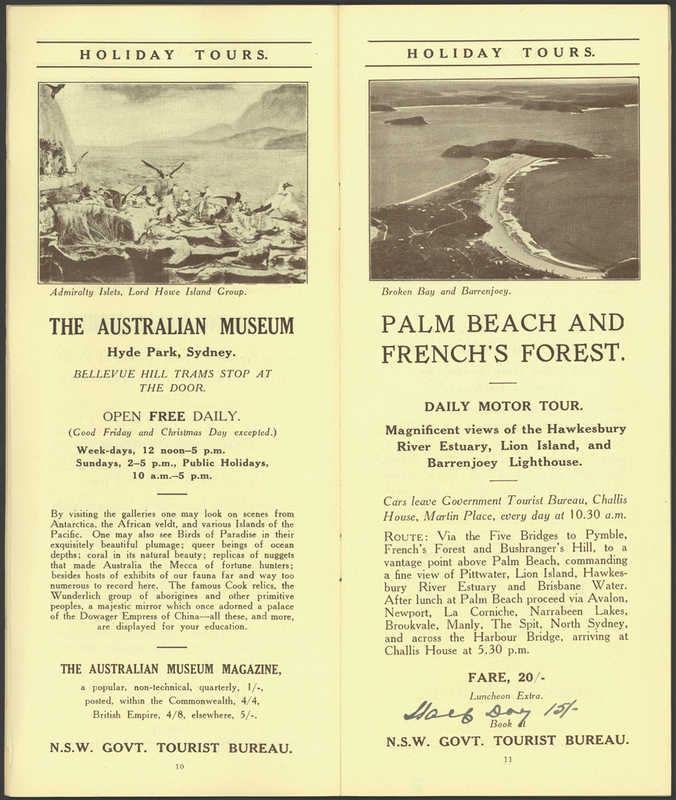 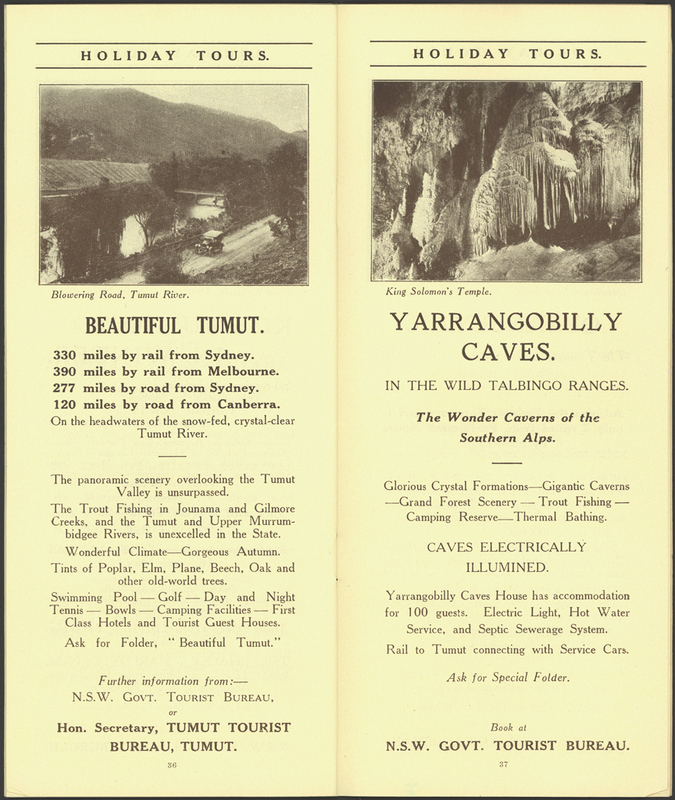 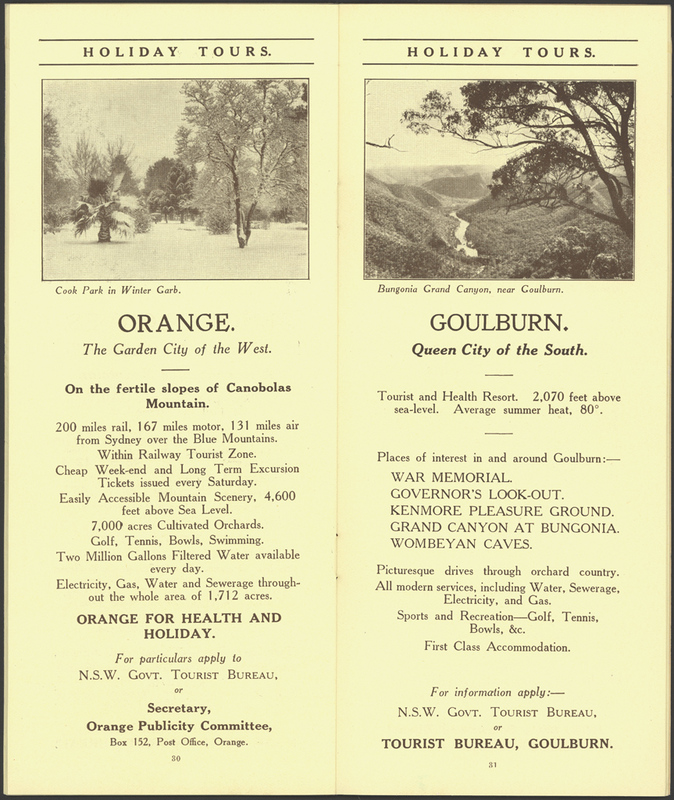 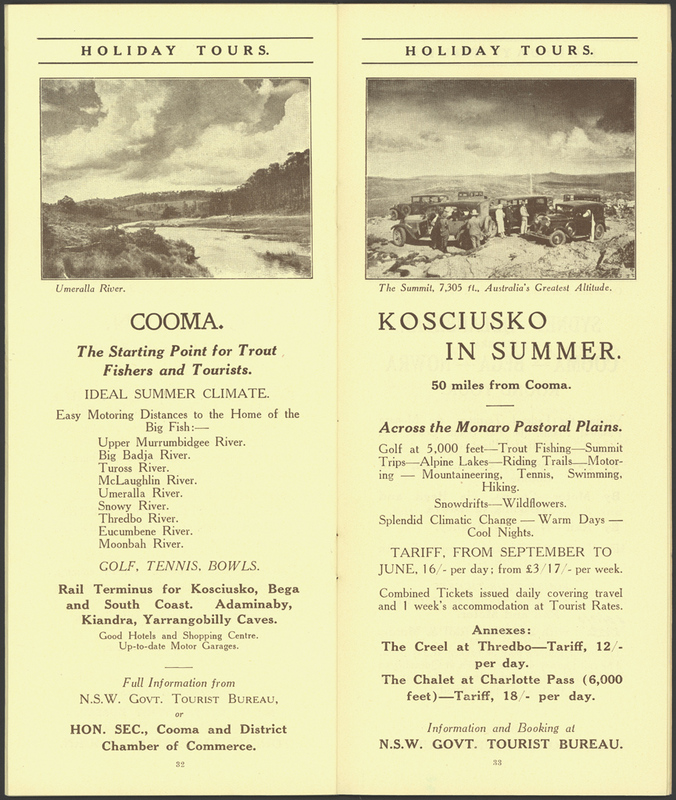 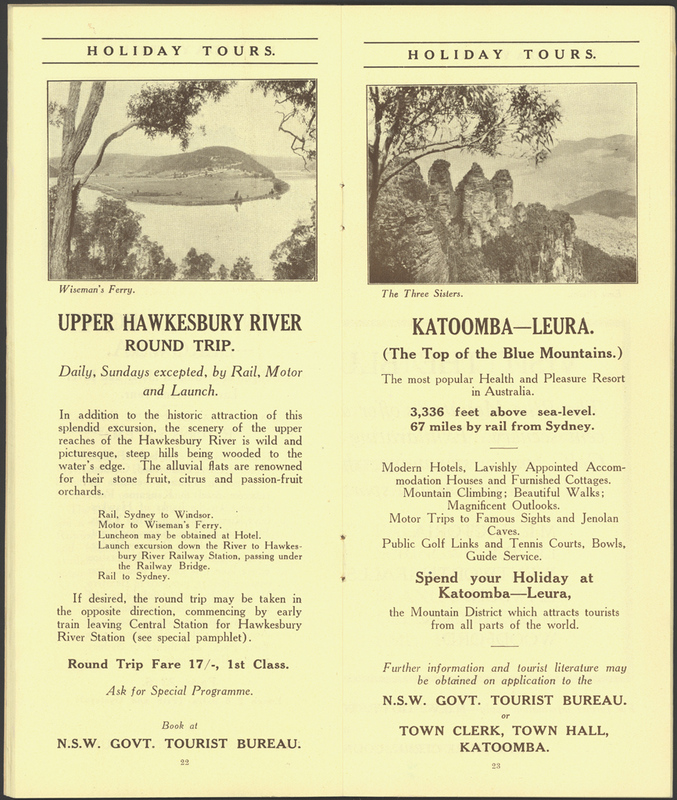 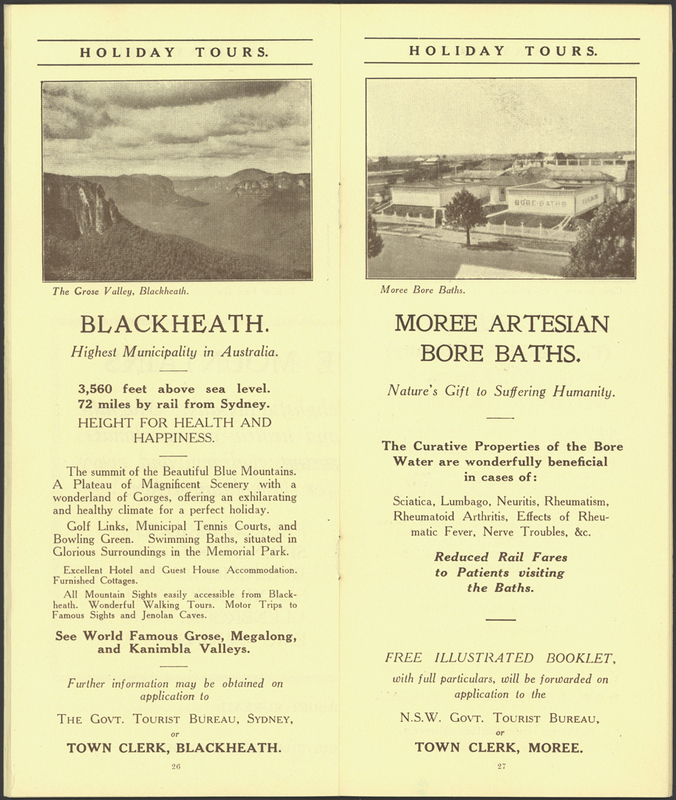 This holiday brochure is part of the series NRS 16410 – Albums of Travel and Advertising Brochures, 1938-1957. 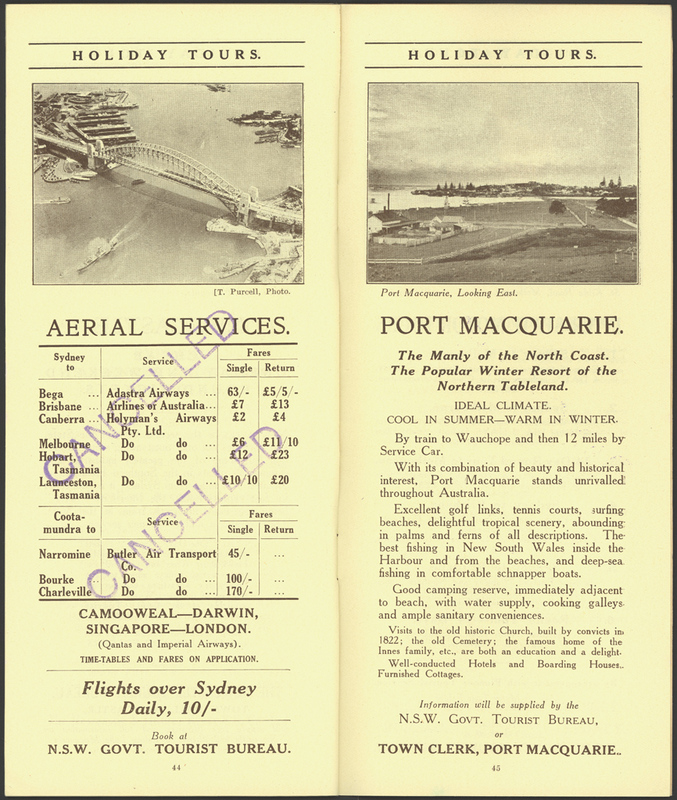 Handwritten on the cover of the booklet is “Prior to January 1938”. 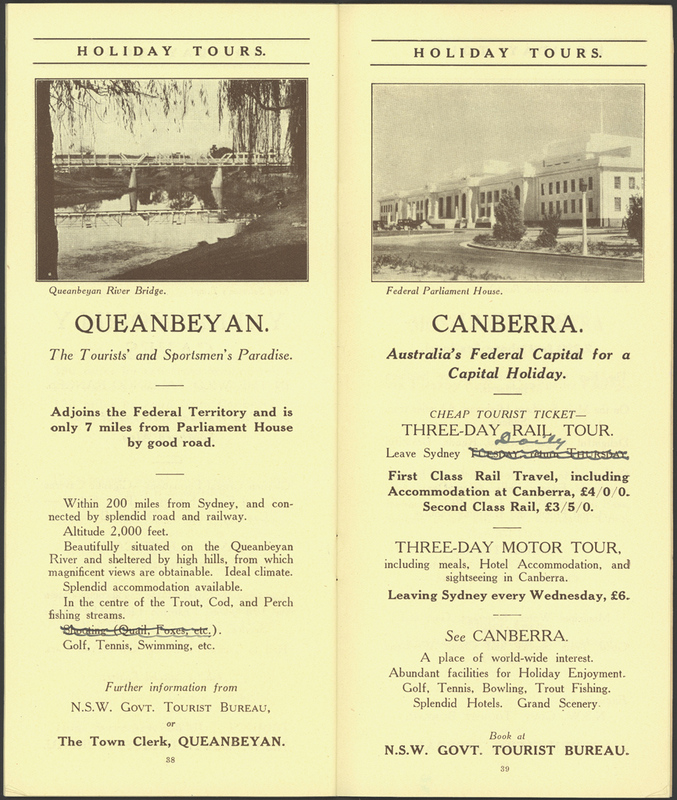 The Index page lists all locations in the brochure. 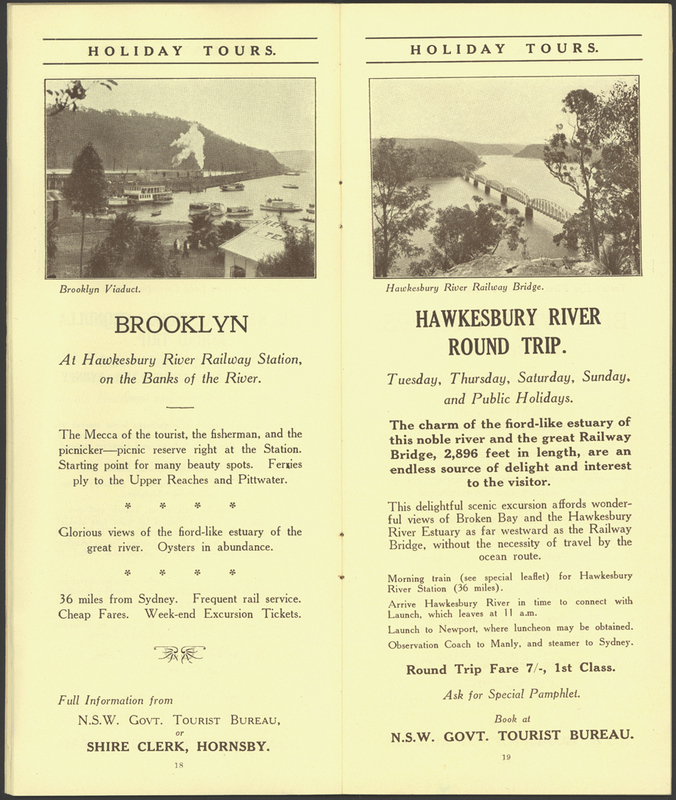 Other general information is also included..